Looking for ways to increase your website’s visibility and significantly grow the sales it generates? Then you’re in the right place. 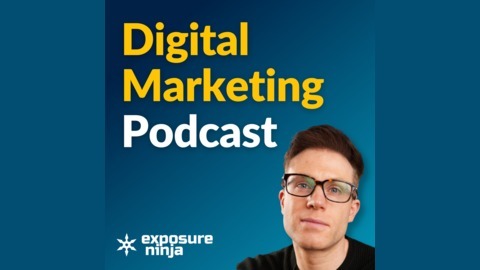 In the Exposure Ninja Digital Marketing podcast, Tim, the Ninjas, and special guests share ‘real life’ actionable tips straight from the digital marketing front line. Discover what’s working out there for businesses like yours and hear about real life case studies from companies that have grown and capitalised on their online visibility and turned it into profit. Some of the topics we cover include: How to get to the top of Google Getting the most from Facebook ads, whether you’re generating leads or sales How digital PR can get you in front of your target audience by tapping into high authority magazine and news sites, as well as piggybacking high profile blogs Tips to convert more of your website traffic into sales using data-driven conversion rate optimisation Website design tips to make your business stand out and maximise revenue ECommerce strategies to grow visibility and revenue, whatever platform you are using Google Adwords advice to bring down that all-important CPA How to launch a new business online Using direct response marketing principles in an online environment Understanding what your competitors are and aren’t doing, so that you can copy the best bits and exploit the gaps More information and show notes are available at the podcast website www.exposureninja.com/podcast. 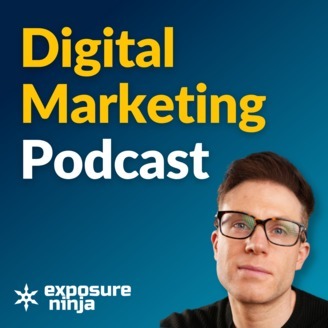 In this week’s episode of the Exposure Ninja Digital Marketing Podcast, Tim is joined by Tyler Jack Harris, owner of two multi-million-dollar life insurance companies and the man behind the My Living Legacy vlog and the Sales Wolves podcast. Tyler’s story is pretty amazing and his business growth and success is directly linked to personal branding and a process he calls “scale impact”. According to Wikipedia, Personal Branding is “essentially the ongoing process of establishing a prescribed image or impression in the mind of others about an individual, group, or organisation”, but Tyler takes this one step further and looks at personal branding as a way to create a legacy — not only in terms of your business impact but in terms of having an impact on the world around you as well. If you’re thinking about pushing your own personal brand or someone in your business is thinking about doing it, there is SO much to take away from this episode! From the practical content strategies and planning side of things to overcoming the fear of putting yourself out there and keeping that doubting inner voice in check, Tyler has so much knowledge to share on this subject, plus he’s just a genuinely nice guy with a lot to offer! How Tyler has used his personal brand to build his company, and why it’s not just about chasing fame! Strategy: How much do you need to strategise and plan vs freewheel it? Do you need to have a very specific audience profile in mind or do you believe more in just being yourself and seeing what comes out? Huge thanks to Tyler for joining us on the show.